Personal Injury Protection (PIP), is an extension of car insurance that covers medical expenses when the policyholder is injured in a car accident. This kind of insurance is sometimes called “no-fault” insurance, because payment of benefits is not contingent upon the legal liability of the policyholder in regards to the circumstances of the accident. In other words, the policyholder is covered by their own insurance, regardless of who was at fault in the accident. Missouri does not require PIP coverage and an insurance carrier has no right to a lien for medical payments made under the injured driver’s own policy. In 14 states, PIP is mandatory, and a few other states require auto insurance policy holders to sign a waiver to refuse PIP coverage. No-fault mandates are generally considered relief from the soaring numbers of lawsuits filed against at-fault drivers. Because the injured party’s own insurance covers their expenses, compensation is more certain and payment is guaranteed, no matter who is at fault. However, no-fault policies often have caps on how much they will pay and limits on when and how long an injured party can collect. In a no-fault state, it can be much more difficult to sue an at-fault driver for damages. The specifics of Personal Injury Protection laws vary widely from state to state. In addition to differences in requirements, compensation for types of treatment, non-bodily injury (emotional injury, lost wages, vehicle damage etc. ), and funeral expenses also vary. Most no-fault states do allow injured parties to bring suits against other drivers, but only when the accidents meets certain circumstances as specified by law. Some states, like Kansas, that have mandatory PIP coverage allow the PIP carrier to claim a lien against any lawsuit filed against other drivers. This means the PIP carrier will want to be paid back from any recovery from the other driver; however, the right to be paid back is not absolute. Missouri, on the other hand, does not require PIP coverage and an insurance carrier has no right to a lien for medical payments made under the injured driver’s own policy. If you have been injured in an automobile accident, you may need the services of an attorney to help you navigate the complexity of the insurance laws applicable in your state. Because benefits can be time-sensitive, it is imperative to act quickly after an injury to ensure you will receive maximum compensation. 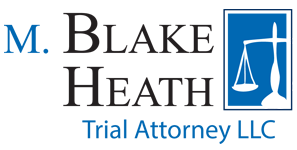 Contact the qualified lawyers at M. Blake Heath, Trial Attorney LLC to schedule your free consultation.